Here lies G3 parts to repair your climbing skins or build your own custom set. It even includes options for twin tip skis and splitboards. Protect your skins with G3 skin savers. Twin Tip Connectors - For use on skis with rounded tails and also fits well on splitboards. These are just the clips (no straps, rivets, etc) sold in pairs. These also work on BD tail straps. 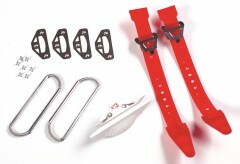 Tail Connector Kit - Sturdy plastic straps with metal clips, which fit best on skis with flattish tails. Comes with rivet plates and hammer rivets for attaching to the skin material. Everything you need for two skin tails. Tail Strap w/Clip x2 - A pair of tail straps with the included hooks. Fits perfectly with the Rivet Plate and Rivet, neither of which are included but available here. Weighs 26g. Tail Hook - Replacement tail hook for G3 skin tails. Sold individually. Splitboard Tail Clip Assembly x2 - A pair of tail clips for your G3 splitboard skin. Includes both left and right versions and each weighs 35g. Rivet Plate x1 - Rivet plates to attach tail hooks to skin. Weighs 4g each. Rivet x1 - Skin rivets that you hammer into place, smooshing the underside. Need 3 per rivet plate. Skin Savers - Storage sheets for G3 and other skins. Sold individually with one length in the package in either 110mm or 150mm widths. Store a full length of skin on either side of the sheet or cut in half and fold the skins over each sheet. Hi Bartlomiej! Unfortunately no, we are out of them at the moment. Hey Dave! They sure can! 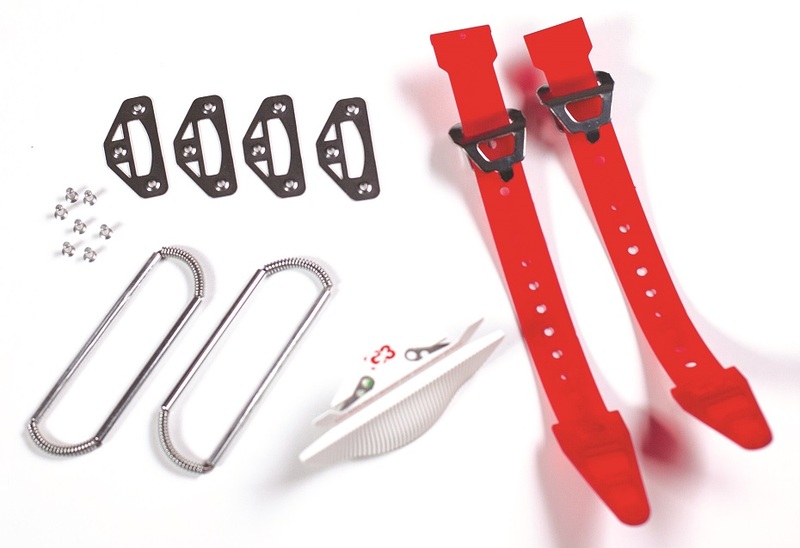 Can you use the strap (red plastic strap with the little holes in it) with a BD tail attachment (riveted metal piece that is attached to the skin)? I have BD tail pieces currently installed but would like to try the G3 straps. Hoping not to have to change out the riveting. Hey Julie! Yes, kinda! The width at the attachment point is very similar and they use a remarkably similar tail bracket to hold them on to the skin. The only issue would be getting it installed. The width of the aft end of the G3 tail strap is a whole lot wider than the bracket, re-installing it on a bracket that's already installed on a skin would be pretty tough. What's going on the with BD kit that's giving you trouble? Description's a little brief. Does this come with tip and tail parts and a trimmer? Hi Eric, there are multiple products on this listing. You can choose from tip or tail kits. The trimmers are listed separately.